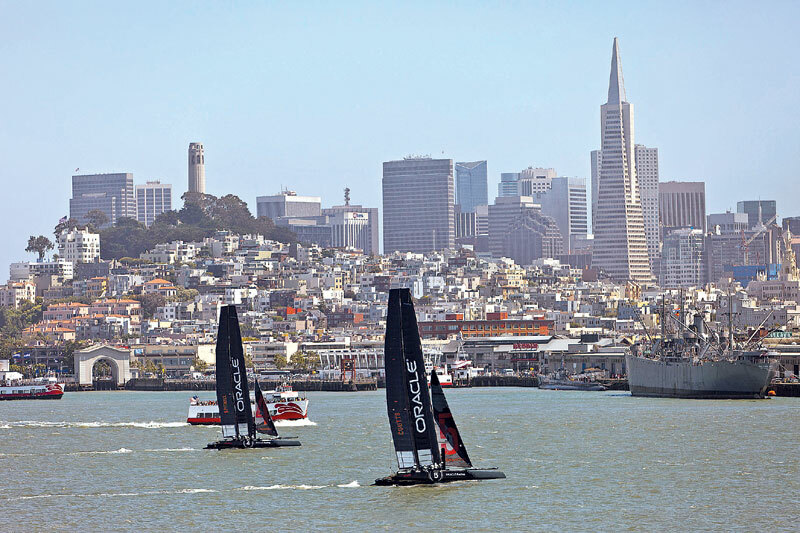 SAN FRANCISCO (LOG NEWS SERVICE) — San Francisco’s Board of Supervisors is upholding an environmental impact report for the city’s America’s Cup preparations, overriding some environmental and community groups’ concerns about the sailing event. The Sierra Club’s San Francisco chapter challenged the report earlier this month, citing concerns about pollution and other aspects of America’s Cup-related construction projects. Race organizers responded to the issues, and the board on Jan. 24 unanimously certified the environmental impact report. Planning commissioners also unanimously approved the report in December. But environmentalists had claimed planners failed to analyze water and air pollution, as well as possible diesel fuel leaks from a barge carrying a giant floating television screen that was previously planned to be situated in Aquatic Park. Under new plans, there will be no big screen on a barge. The Sierra Club had said in a release that it was particularly concerned with the EIR’s failure to perform a quantitative analysis of San Francisco Bay sediment in areas where dredging and installation of moorings will occur. “Without this information, the potentially significant impacts to water quality from the project’s extensive dredging activities cannot be assessed,” wrote Rebecca Evans, chairwoman of the San Francisco chapter. Preliminary races for the sailing event are scheduled this summer. City officials estimated the America’s Cup will generate 8,000 jobs and inject $1.8 billion into the local economy.